Just like anything important in your life, you must take care of it to last for a long time; your car is no exception. We all know that cars must have oil changes every 3,000 to 7,500 miles, but what about all of the other attributes that makes your car go vroom? The professionals at Avalon Motorsports in Denver are determined to provide car-lovers everywhere with the information needed to make sure their car runs flawlessly in the summer and in the winter. In our previous post, we started giving readers ways to winterize their Volkswagen, here are more great Volkswagen services it needs prior to winter. Refill the wiper fluid and change the wiper blades. Denver winters are cold, snowy, wet and can be downright miserable. It’s our job to do what we can by providing you with tips and tricks to winterize your car so you can stay inside the cabin at all times. One of the ways you can do this is by changing out the wiper blades on your Volkswagen prior to winter beginning. While you’re at it, make sure you refill the wiper fluid in your vehicle with a fluid that does not freeze. Although you may not think this is an important detail, it is! Replacing the windshield wiper fluid with a summer temperature one won’t get you anywhere on below 30 degree days or nights. 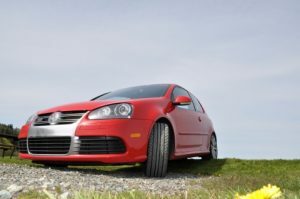 Make sure you follow the Volkswagen service tips the professionals at Avalon Motorsports have provided for you. If you need assistance with any of our winterizing tips, be sure you give us a call. Make an appointment online with Denver’s finest German automotive repair technicians now!